The school aims at strengthening the potentialities of the children by constructive and creative activities for all round development of personality. In addition, building of character, team spirit, dedication to purpose, patriotic outlook and sense of citizenship are inclucated in children. The School was started initially as 'Nursery School' during 1958-59, on occupation of this Campus by HQTC, IAF. In June 1965, the primary classes of the School were handed over to Kendriya Vidyalaya Sangatan for forming K.V.Hebbal and the Nursery Section remained with the Unit. 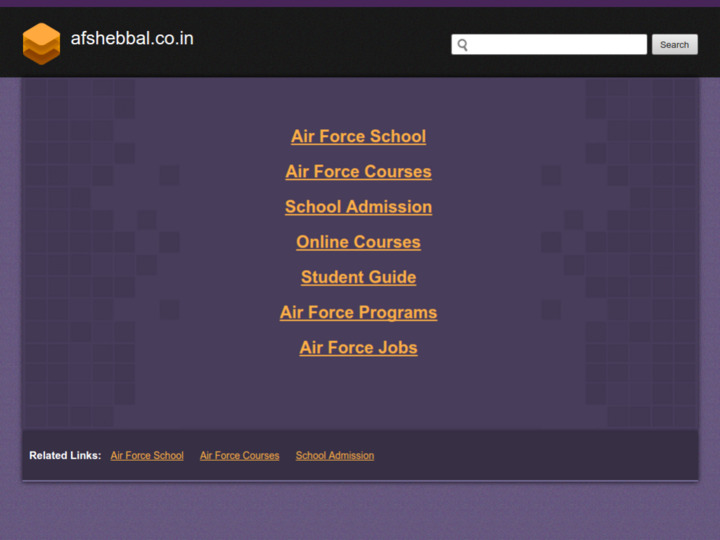 However due to inability of Local Kendriya Vidyalaya to absorb all the Children of Service Personnel, it become necessary to start again Class I during 1977-78 and the School was renamed as Air Force School Hebbal and since then the School started expanding every year.